Holiday apartment in petit château, Languedoc-Roussillon, South of France. La Fontenille, is a superb maison de maître (mansion-house) set in its own gardens in the heart of Ventenac, a small village in the Languedoc region of the south of France. The house overlooks the Canal du Midi. We formerly rented out our second-floor self-contained apartment, with use of our garden and pool, but ceased this activity at the end of the 2016 season. These pages are now left online just to encourage our friends to come and visit. 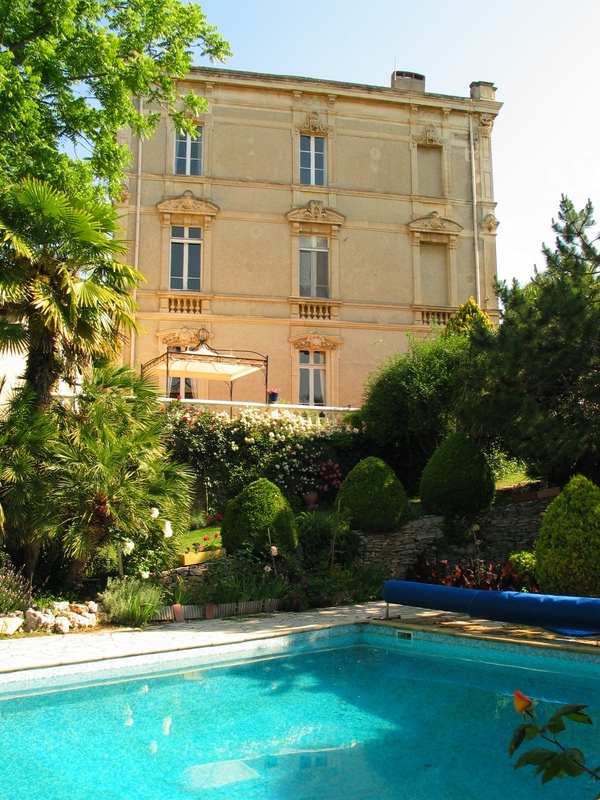 Ventenac is 20 minutes from the historic Roman city of Narbonne, and 40 minutes from the Mediterranean. The Pyrenees to the south, and the Cevenne mountains to the north, are both less than one hour away. The medieval city of Carcassonne lies 45 minutes to the west. La Fontenille is named after the family who built it in 1880. After a long period of benign neglect, fortunately during which none of the fabric was destroyed or 'modernised', it has been beautifully restored. You will marvel at the high quality of the craftsmanship of the woodwork, floor tiling and plaster ceilings. In fact, some of our French friends say it is really a 'petit château'.